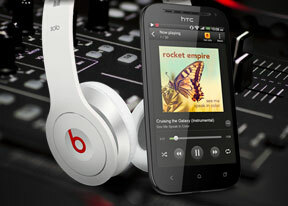 The HTC One SV packs a curious personality, that's for sure. The handset combines good looks (especially in the red color scheme), superb build quality, rich set of features, and adequate performance all in one - those are qualities which HTC smartphones are well known for. Even an Android power user should be able to live with the handset on a daily basis without having much to complain about. As far as the phone's disadvantages go, we must note that they are highly atypical for an HTC device in this particular price range. We are still scratching our heads over the display's WVGA resolution - after all, it was HTC, which first started offering phones with the higher-res qHD screens back when WVGA was still considered the standard in 2011. The still camera could have offered much better performance, too - it is not up to par with what the camcorder has to offer. And our remark has nothing to do with the relatively low megapixel count it has on tap - there are plenty of fine 5MP snappers out there. Finally, we find the lack of Android 4.1 Jelly Bean out of the box puzzling, given that the OS has been around for more than six months now. We're guessing that HTC have skimped on the latest Android on purpose in order to keep the One SV from cannibalizing the sales of its own higher-end models. Speaking of sales, you can pick up an HTC One SV in European markets such as Germany and the UK, where LTE is on offer, for about 350 euro. The price tag makes the device relatively affordable for what it has to offer, so long as you consider the LTE connectivity a must-have. If real 4G data speeds are not what you are necessarily after, there is a plethora of Android smartphones, which can give you a lot more than the HTC One SV. They are mostly top dogs from 2012 and include HTC's own One S, the LG Optimus 4X HD, and the Sony Xperia P. Spec for spec, each of those will offer you a lot more than the HTC One SV, save for the LTE functionality. In the United States, the HTC One SV is offered by Cricket Wireless for $350 without a contract commitment, as long as you use the carrier's affordable LTE plans. Such an arrangement makes the smartphone a lot more appealing. So, the HTC One SV is not quite an entry-level Android smartphone. The handset however, is likely to serve its purpose well, that is offer LTE connectivity at a fairly affordable price. The latter will make it a perfect companion for the right user. Those, who are not looking specifically for 4G speeds will be better off looking at the alternatives, including the ones in HTC's own stable.